(CBS News) On Saturday, Britain kicks off four days of festivities in London celebrating Queen Elizabeth II's Diamond Jubilee. The events include a trip to the derby, a floating parade down the River Thames, a procession through the city and a concert at Buckingham Palace. Below, you'll find a list of which events are happening on which days, and when they're set to begin. The queen will attend the Epsom Derby in Epsom, England. Also taking place on Sunday is The Big Jubilee Lunch, which encourages people across the U.K. to share lunch with neighbors and friends in street parties and picnics as part of the Diamond Jubilee celebrations. The Concert at Buckingham Palace will feature performances by Elton John, Paul McCartney, Annie Lenox, Shirley Bassey, Kylie Minogue, Stevie Wonder, Robbie Williams and others. The concert begins at approximately 2:30 p.m. EDT (7:30 p.m. in London), and will be attended by the queen, the Duke of Edinburgh, other royals and 10,000 members of the public. A network of more than 4,000 beacons will also be lit across the U.K. on Monday to mark the Diamond Jubilee. After 5:30 p.m. EDT (10:30 p.m. in London), the queen will light the National Beacon outside Buckingham Palace. A National Service of Thanksgiving will take place at St. Paul's Cathedral, for which the queen and Duke of Edinburgh will depart Buckingham Palace by car at 5:15 a.m. EST (10:15 a.m. in London). Two thousand people have been invited to attend, and many members of the royal family will be there. Two receptions will take place after the service, followed by a lunch at Westminster Hall and then a carriage procession from the Palace of Westminster to Buckingham Palace beginning at 9:20 EDT. The queen and Duke of Edinburgh will travel in the 1902 State Landau during the procession. Prince Charles and Camilla, Duchess of Cornwall, will travel in a State Landau, and Prince William, Prince Harry and Kate, Duchess of Cambridge, will ride in another State Landau. Different coaches will be used if there is inclement weather. At about 10:25 EDT, the queen and other members of the royal family will appear on the Buckingham Palace balcony. During their appearance, there will be a RAF flypast and a Feu de Joie (rifle salute) from the forecourt. For more information on the four days of events, head to the official Diamond Jubilee website. 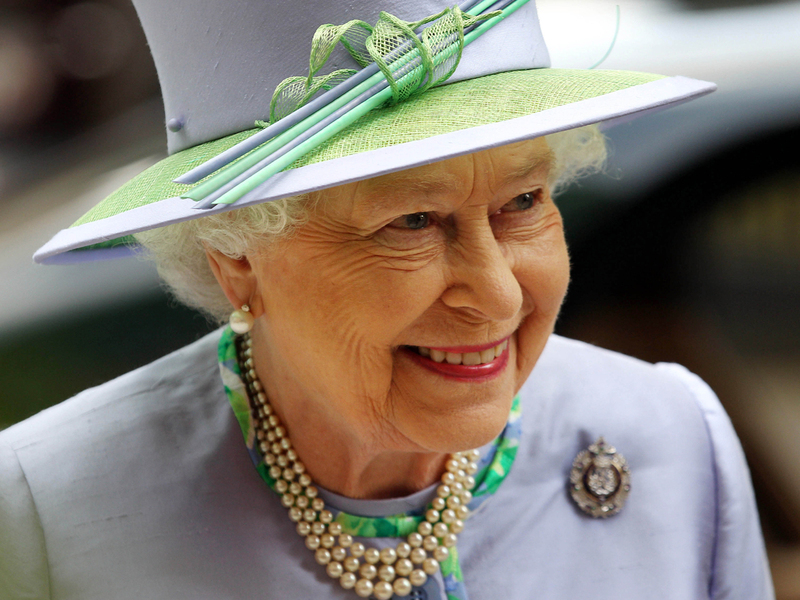 Tell us: Will you be tuning in for the Diamond Jubilee festivities?